The dry bulb of perennial herbaceous plant Fritillaria thunbergii Miq. of family Lilium. Zhejiang, Jiangsu and Anhui provinces in China. Collected in beginning of summer when withered. Thick bulb, firm, powder-like with white cross section. Bitter, cold; lung and heart meridians entered. Clear and resolve heat-phlegm, dissipate nodulation and cure abscess. 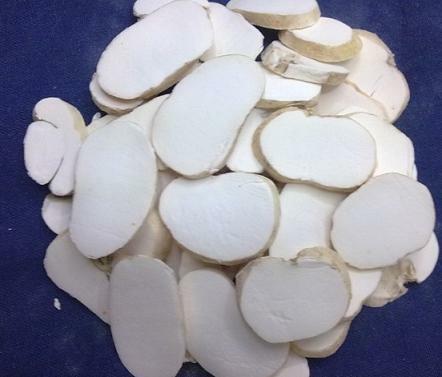 This herb has similar action to Chuan Bei Mu but bitterer and colder with strong action of clearing fire especially clearing and resolving heat-phlegm as well as directing downward and purging lung qi. It is mostly suitable for the cough caused by external wind-heat invasion and phlegm-heat accumulation of lung. For external wind-heat invasion, lung heat and exuberant phlegm, it is usually combined with wind-heat dispersing herbs and lung-clearing and cough-stopping herbs such as Sang Ye, Niu Bang Zi and Qian Hu. For cough of phlegm-heat, it is also combined with heat-clearing and phlegm-heat-resolving herbs such as Gua Lou, Zhi Mu and Zhu Ru. Its action of clearing heat and dissipating nodulation is similar to and stronger than that of Chuan Bei Mu. For scrofula and tuberculosis caused by phlegm-fire accumulation, it is usually combined with heat-clearing and toxicity-relieving herbs as well as hardness-softening and nodulation-dissipating herbs. For instance it is combined with Xuan Shen and Mu Li, etc. in Xiao Lei Wan from Yi Xue Xin Wu. 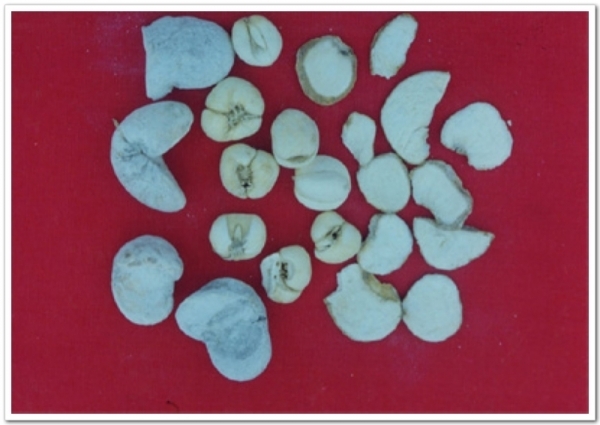 For goiter, it is combined with phlegm-removing, hardness-softening and nodulation-dissipating herbs such as Hai Zao and Kun Bu, etc. For sore and mastitis, it is used internally and externally with heat-clearing and toxicity-relieving herbs as well as abscess and swelling-resolving and removing herbs such as Jin Yin Hua, Lian Qiao and Pu Gong Ying. For pus and bloody expectoration of lung abscess, it is usually combined with Yu Xing Cao, Lu Gen and Jie Geng.